I took part in my first lobster bake while on vacation in Bar Harbor, Maine and loved every second of the New England traditional feast. 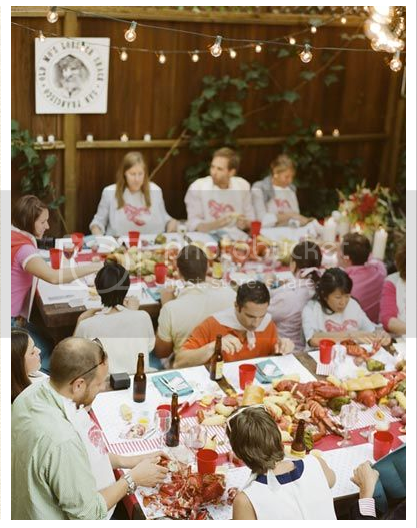 Proving that the fun need not be contained to the north east, San Francisco-based event designer, Alison Hotchkiss, threw a birthday party full of great details- it would be the perfect backyard summertime feast regardless of location! 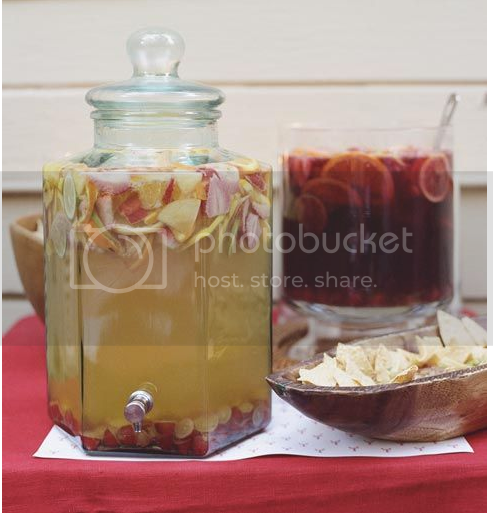 Summer sangria looks delish; this recipe looks especially interesting. 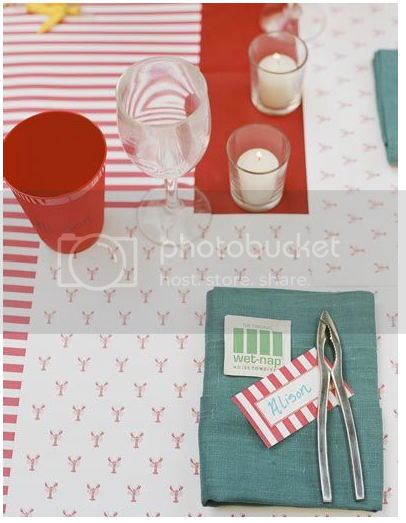 I'm a sucker for the festive table settings, especially the cute lobster place mats from Carrot and Stick Press. I so wish I were there! I would love to do that! 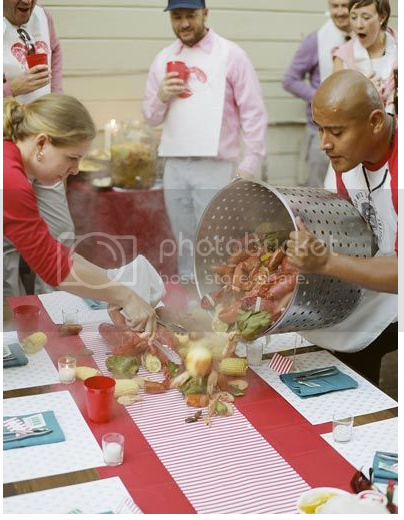 We do low-country boils here, but that includes crawfish :) So good, so I bet I would devour everything about a lobster bake! 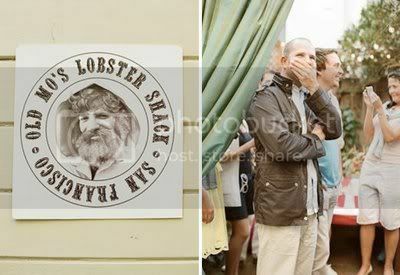 There is nothing better then a lobster bake in Maine! Seriously, I am starving now! Love Bar Harbor! Two of my cousins got married there and I was born in Portland so Maine holds a special place in my heart! A lobster bake is something that you can enjoy all year round. Since it is harvested all year round, every lobster that comes with your clam bake is always fresh and delicious.